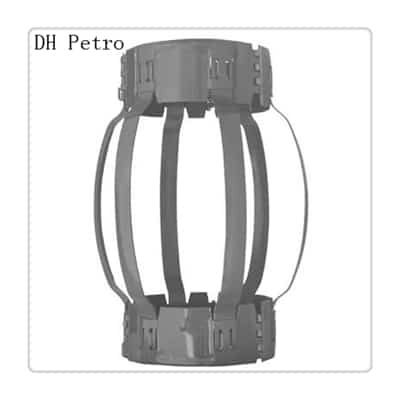 1.Hinged Non Welded Stainless Steel Bow Spring Centralizers are special purpose centralizer, it’s used where the chances of corrosion and contamination are present, or it can be use for water well. 2.It’s a 100% stainless Steel Manufacturing along with stainless steel nails . 3.Premium quality Bows are made of stainless steel material and hot formed in totally controlled Heat Treatment Plant to achieve the uniform hardness all over and good spring action. 4.End Collars are designed with self-locking action, which are easy to assemble, time saver and having strong grip. 5.The five standard size Bows can be configured to any hole dia. 6.These Bows with extended profile prevent them from hitting against casing collars. 7.These can be shipped in half assembled condition for economy in shipping and storage costs. 8.These are available in 4 1/2″ to 20″ sizes.